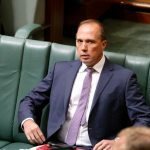 Australian immigration minister Peter Dutton announced on August 28 that 70 asylum seekers were being issued with new “final departure” visas. These people had their fortnightly welfare payments cut off, and were given three weeks to vacate their accommodation. The move could affect up to 370 former offshore detainees who were transferred to Australia due to medical reasons. The cohort are the last asylum seekers to have made it to Australian shores, and were the focus of the recent ‘Let Them Stay’ campaign. 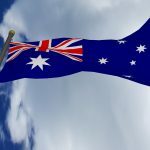 The minister added that the cost of providing for each of these asylum seekers within the Australian community is $120,000 a year, but neglected to mention that the cost of detaining them offshore is $573,000 per annum. The minister then appeared on Alan Jones’ 2GB radio program. 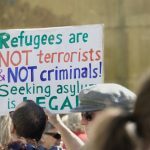 He asserted that the asylum seekers were performing these “tricky legal moves” with the help of lawyers representing them on a pro bono basis. 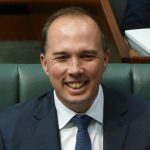 Dutton additionally blamed lawyers for costing taxpayers “tens of millions of dollars” by pursuing High Court proceedings. Needless to say, members of the legal profession were not impressed. Pro bono legal work plays a vital role in the Australian legal system. It provides those who cannot afford a private lawyer, but are not eligible for Legal Aid, with legal representation. In October last year, the Australian Pro Bono Centre confirmed that over the year 2015-16, firms that had committed to providing such services reported over 400,000 hours of pro bono legal services – equating to an average of 36 hours of free work per lawyer. Mr Dutton has taken aim at this practice when it comes to helping asylum seekers, when those carrying out this work are providing their legal services free of charge to help some of the most vulnerable people in the community. In May this year, Mr Dutton gave 7,500 asylum seekers until October 1 to lodge their applications for a visa, or face deportation. These are lengthy and difficult documents that are written in English, which is not these people’s first language. 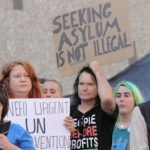 Currently, there are lawyers working around the clock to help asylum seekers with their visa applications, so they aren’t sent back to the countries from which they fled. 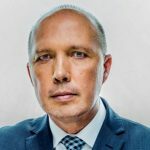 During the 2GB interview, Mr Dutton took aim at the Australian constitution – claiming it was creating “issues” that were “incredibly frustrating,” as it does not allow the government to simply pass legislation to send asylum seekers back to offshore detention after they’ve received medical treatment. 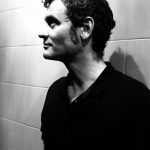 “It would seem the minister regards the separation of powers and the arms of government to be an impediment to draconian rule,” Mr Stewart told Sydney Criminal Lawyers®, adding that “this is very concerning” as past politicians have always understood the importance of our independent legal system. The 370 asylum seekers that facing “final departure” visas include 116 children, 50 of whom were born in Australia. The government is turning off the lifeline to all of these people and putting the adults in a position where they must somehow find jobs and places of residence within three weeks, or else be left destitute. These people were previously denied the right to work. And while children are involved, Australia will also likely be in breach of the UN Convention on the Rights of the Child. On top of these deprivations, once these people’s visas expire they’ll be forced back into the deplorable conditions of offshore detention, or sent back to their countries of origin – to situations so dire they risked their lives – and that of their families – on the ocean to escape. But was minister Dutton actually implying that asylum seekers don’t deserve any legal representation or assistance? As far is Mr Stewart is concerned, that’s exactly what he was suggesting. “At a time when Australia is set to take up a seat at the UN Human Rights Council, it should be living up to its self-proclaimed status as an ‘international human rights leaders,’” Mr Stewart concluded.